This post talks about the various ways you can add scoreboard overlays to your live stream on your website, Facebook Live, YouTube Live, or Periscope. It's part of our series on sports live streaming. Arguably the most important part of recreating the in-person experience of a game is letting your viewers see the score. If viewers don't know who is winning or losing the game will be tough to follow, especially if they tune into a broadcast in the middle. 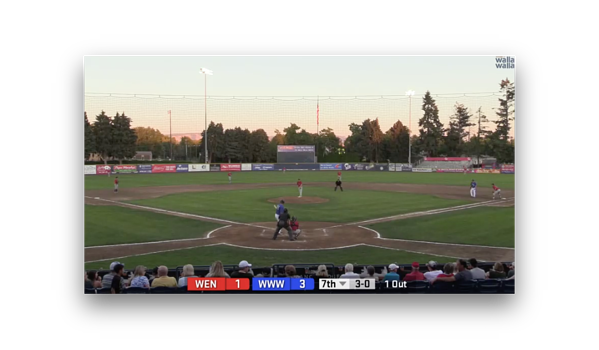 For that reason, it's important for sports broadcasters to find a way to add a scoreboard to their live streams. Here's a few ways to do it. The ability to add scoreboards to your live stream will depend on what platform you are using for your live streaming. If you are sending directly to Facebook Live or another social platform, you will not be able to add scoreboards without extra production equipment. These platforms only distribute your streams and do not allow for overlays or other production elements. If you are using a platform like BoxCast, there are several options for integrating your scoreboard while keeping a relatively simple production setup. 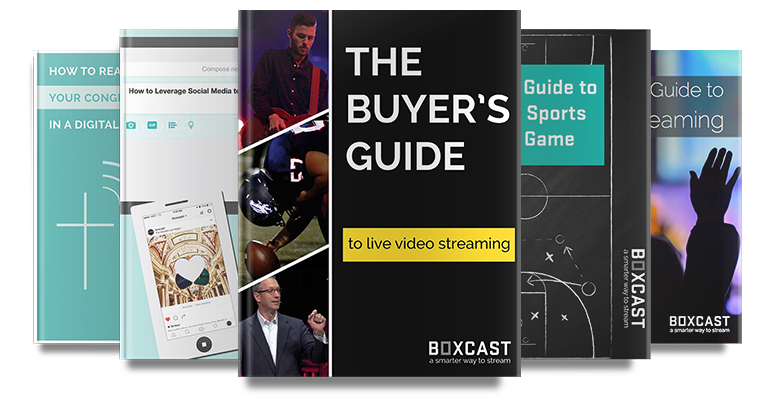 The BoxCast Scoreboard Overlays feature allows you to overlay a scoreboard onto your live stream before sending it to different streaming destinations such as Facebook Live, YouTube Live, Periscope, and your website. Below, we go into further detail on each of these. If you have a Daktronics 5000 series or Trans Lux Fair Play MP-70 scoreboard controller, you can integrate your scoreboard directly with the BoxCast streaming platform using the BoxCast Scoreboard Adapter. Simply connect one of our scoreboard adapters to your scoreboard controller. We'll do the rest. Your score will automatically be integrated into your video stream. The BoxCast Scoreboard Adapter can be connected through either WiFi or a cabled connection. If the distance between the scoreboard controller and the camera or BoxCaster is over 25 feet, you should opt for the wifi version of the BoxCast Scoreboard Adapter. If the distance is under 25 feet, we recommend the cabled version of the Scoreboard Adapter. For more details on which option is right for you, read the scoreboard adapter decision guide (PDF). Beyond our the BoxCast Scoreboard Adapter, BoxCast has also partnered with Sportzcast to integrate scoreboard data directly through their ScoreBOT interface, which can be linked to a wide variety of scoreboards. 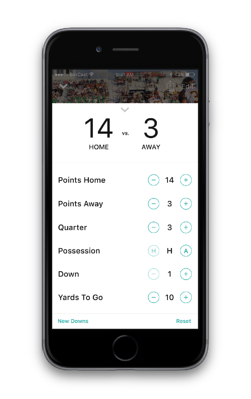 If you don't have an actual scoreboard to integrate with your live stream or need something even easier, BoxCast offers manual scoreboard controls that allow you to update the score directly on the BoxCast dashboard or BroadCaster iOS App.